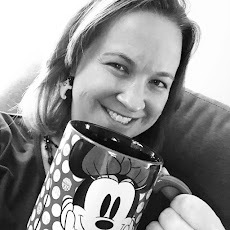 Running on Pixie Dust: Disney & Pandora - A Perfect Match! Disney & Pandora - A Perfect Match! Both Disney and Pandora have been brands I've enjoyed for some time. So when they released a Disney Pandora line back in November, I knew I was going to be in love. 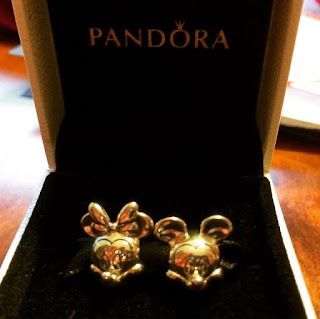 I received my first Disney Pandora charms from my aunt at Christmas. She gave me three beads and a bracelet since she knew I would want to have a dedicated Pandora bracelet just for Disney. 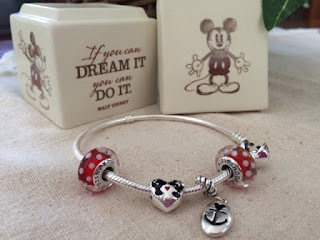 I added to it the one Chamilia bead I had from my Disney Cruise Line vacation in April. For my birthday this year, my husband gave me Mickey and Minnie to add to my collection. And then just yesterday, Dan and I celebrated our 5 year wedding anniversary. As part of the anniversary surprises, I received 5 Disney Pandora charms - one for each year of marriage. 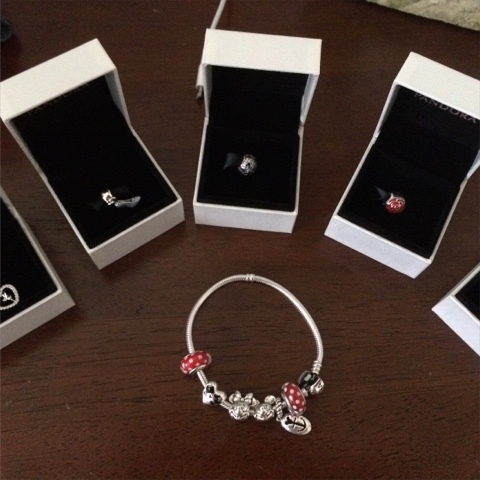 The Disney Pandora collection is a perfect way to show your #DisneySide in a classy and grown-up way! There have been three releases of beads so far and the collection keeps getting better and better. Some beads are available through Pandora retailers while others are exclusive to Disney Parks. I can't wait to add more to my collection over the years!